Then added to the categories are others such as equestrian boots or Military boots for example. Not only knowing which type of boot you require then knowing which is best suited for you in that particular category, you also will want to focus on the Brands that make what you are looking for. The credibility of the brand and the price range will be important. It is important to note that some types of boots will fit into several different categories. For example, cowboy boots can come under the classification of work or sports boots and they also receive their own classification of style. 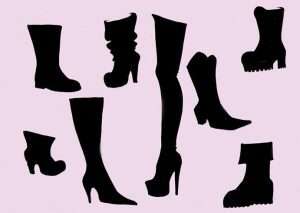 It is not uncommon for people to own several different types of boots.This could simply be for the use in the different seasons. In this case, many own warmer boots which are classified as winter boots. Then for the summer months where there is the the warmer weather but more rain many will own a good pair of rain boots. It may actually be more rare to only own one pair of boots. For those that buy boots simply based on style they will often buy a pair each year in order to keep up with the trends.